Whether off-hand or long-term planned, teleconferences constitute a key tool for corporate communication. For this reason, the Unified Event Communication platform MobiCall allows an easily and intuitively set up and a web-based management of teleconferences; in addition to this audio conferences can be convened manually or automatically. 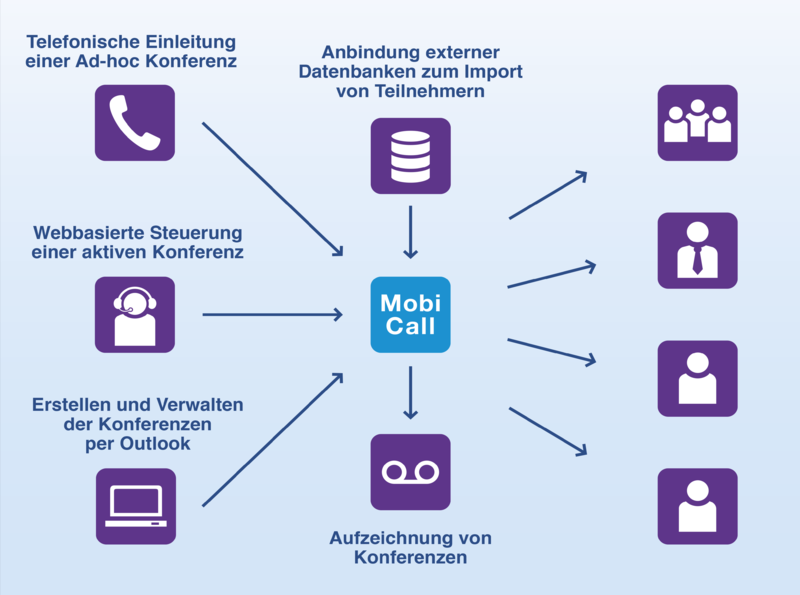 MobiCall can be integrated into your existing communication infrastructure as an independent conference solution. The efficient and offhand convening of teleconferences significantly improves communication flows and speed up decision-making processes. All conferences can be easily configured and managed, either centrally or locally, using the web-based application. 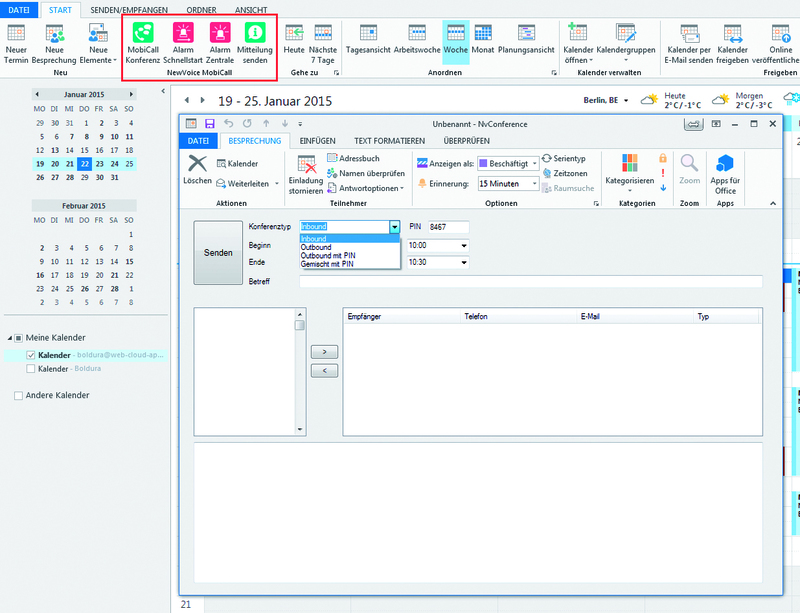 The multi-client capable management tool has an innovative “drag & drop” configuration tool and provides users responsible for groups or departments with an intuitive and clear option to configure the conference parameters. 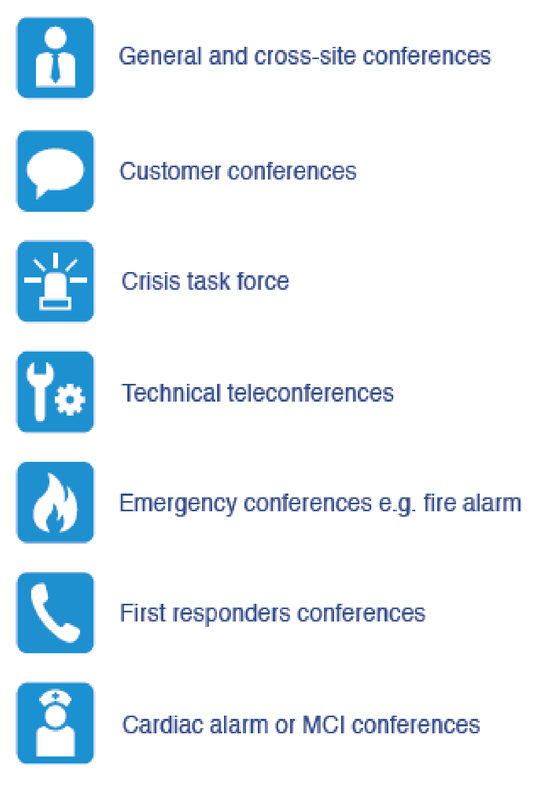 Thanks to the management tool it is also possible to directly manage active conferences. Thus, the authorisations to speak and listen can be adapted and attendees can be added at the touch of a button. Thanks to the New Voice Outlook plug-in, users can easily and quickly schedule a conference in their personal calendar with just a few mouse clicks. The conference is displayed as an appointment and can therefore be managed, rescheduled or cancelled. For this purpose, each user can access the master data of his personal and public address book. The user only needs to specify the conference type, the attendees, a time and, if necessary, the desired dial-up code. Attendees will receive an appointment invitation by email immediately. The conference is planned in advance. Attendees are automatically called and joined to the conference. If an attendee cannot be reached on the main dial number, MobiCall is able to automatically dial additional numbers so that further attendees can join the conference. After the conference planning is carried out by the initiator, attendees will receive all information about how to join the scheduled conference by e-mail (date and time, dial-up code and PIN), thus allowing to easily join the conference at the defined time. The management interface allows suddenly planning and convening a conference. Attendees can also be added to the conference at any time. It is also possible to start a conference automatically when a particular event occurs. This can be implemented through the connection of a subsystem, e.g. fire alarm system. A predetermined conference can be started immediately after manual activation by the user, whether by phone, smartphone app, Client PC or push button.